Expectations run high when considering a landscape company. There are so many landscape companies in San Diego. All vying for your project, your maintenance contract, and your testimonials. Companies are divided by areas of expertise. Some business offer only design. Others are landscape contractors or design-build (have an in-house designer on staff). Some companies specialize in maintenance, while others may do specialty work such as irrigation or tree pruning. A good source to locate a landscape contractor is www.CLCA.org . The California Landscape Contractors Association. In all cases, as a homeowner, you should expect a representative to arrive on time for your meeting. If they call to reschedule, then you’d wonder if they’ll show up to do the actual work. The contact from the company should be someone of knowledge with experience to share. Don’t expect them to give you all the answers (you’ll have to pay for their services after all) however, if they can’t impress you with some element of their expertise, then you might want to move on to the next company. You may wish to see examples of their work, either photos in a portfolio or website and or possibly references of former satisfied clients. All landscape contractors will have a business license and liability insurance of which you can verify. Learning of the company’s revenue and longevity also can give some credibility. Other elements to consider are the management. Is this a sole proprietor (landscape designer) or are there layers of management and who will be the main contact through the life of the project or service contract. Personalities do make or break a professional relationship. We all enjoy working with people with like. Learn what each companies offers as far as a guarantee or warranty of their workmanship. And what are the expected processes to the end goal of a finished project. Naturally you’d want to learn payment schedules and or other financial obligations to meet. Bottom line when considering a landscape company in San Diego, learn about the companies ethics and values regarding the ongoing drought. Are they aware of sustainable practices? Can they really save you money on future water needs? Are they pushing you to do more hardscape or are they acting as your advocate for a certain budget? 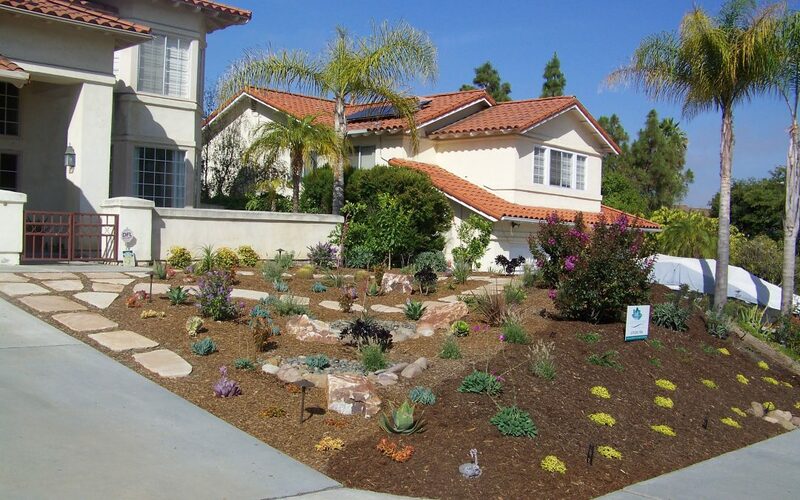 Letz Design Landscape offers landscape design, consulting and project management for residential clients in San Diego who want to do their part for the environment. Contact me today to learn how we can work together to meet your goals to improve your outdoor spaces. Also, please review my resources page to see a list of contractors that I can suggest to implement your project.